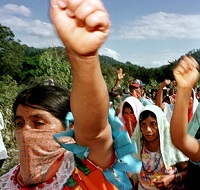 The Caravana 43 has emerged as a strategy to circulate struggle, disrupt misinformation, and create a context for a deeper discussion on how state violence and repression has become systematic in Mexico and in other parts of the world. 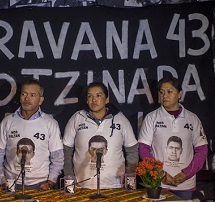 The Caravana 43 has travelled throughout the United States, Canada, several countries in Europe and most recently has crossed through Argentina, Uruguay and Brazil. 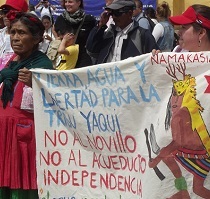 About an hour south of Mexico City, nestled in an extraordinary range of mountains called the Sierra del Tepozteco, whose fantastical rock formations studded with forest resemble those in ancient Chinese painted scrolls, an experiment in alternative living has been unfolding for more than 30 years now. 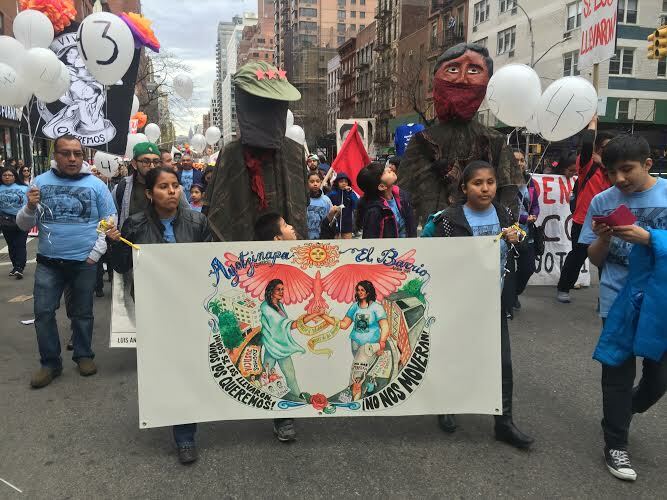 Toward the end of the visit of Caravan 43 to the United States, a remarkable gathering of dignified struggles took place in New York. 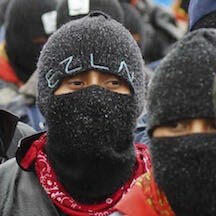 Representatives of the relatives of the 43 disappeared students of Ayotzinapa met in an exchange with Mexican migrants from Movement for Justice in El Barrio, and, through video messages, also with the indigenous Tseltal ejidatarios of San Sebastián Bachajón in Chiapas. 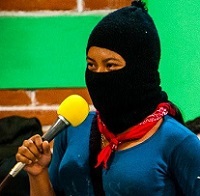 “We are here to say that the struggle around the 43 students is a live struggle, it is alive today, and it’s not something that’s staying in the past and that they’re dead. 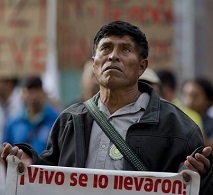 This is a live struggle.” – Román Hernandez, a human rights defender from the Tlachinollan Human Rights Center in Guerrero, Mexico.